We promote wellness solutions in the healthcare industry by placing experienced, compassionate professionals in facilities that will best benefit from their expertise, while enabling them to lead fulfilling, balanced lives. • To Impact and improve lives of people. • To aid in the delivery of exceptional temporary healthcare services. • To maintain a high level of responsiveness and reliability to our employees, our institutions and their patients. 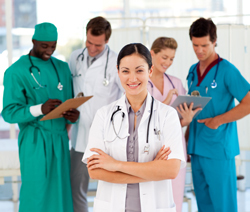 • To encourage our healthcare professionals to achieve greater career enrichment and advancement.